Refers to an item location in the northeast section of the Graveyard. 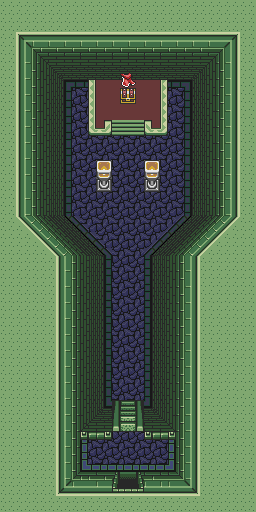 The King’s Tomb can be accessed one of two ways: either by using the Titan’s Mitts to clear the lvl 2 rocks in front of the tombstone, or by going to this location in Dark World, getting close to the pile of rocks that represents the King’s Tomb in Dark Word, and using the Mirror to bypass the walls and rocks that surround the grave in Light World. 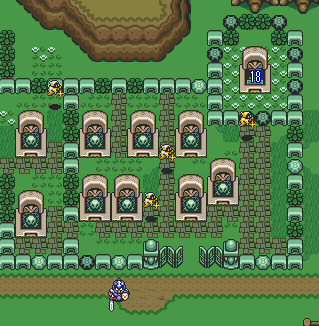 Once Link has gained access beyond the barriers, the tombstone can be dashed into in order to reveal steps down to a simple cave containing one item.